When I travel, I make sure to take along a booster battery for my mobile phone and a Bluetooth portable speaker. But I've often wondered why someone hasn't invent a device that combined both of those things. Turns out someone has. It's called the PERI Duo and it's just emerged from a fundraising campaign at Indiegogo. 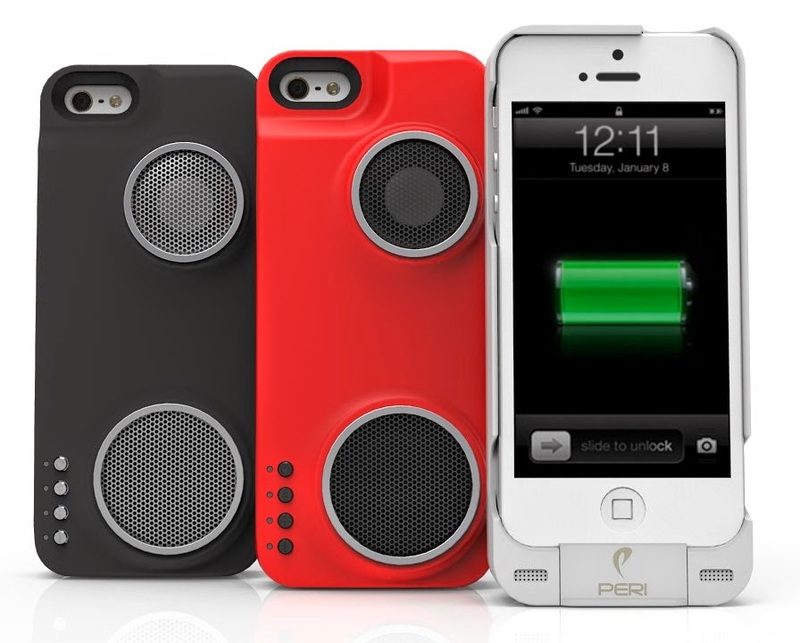 The PERI Duo incorporates a high-power speaker system with a 2500 mAh battery in a case for the iPhone 5/5s or 6. The speaker matches the best Bluetooth portables with a single-chip digital processor and an embedded equalizer. It can be separated from the phone to be a stand-alone speaker or linked via Wi-Fi to other PERI Duo speakers to create a surround sound system. And, the Duo's makers say the battery booster will bump up a phone's power by as much as 16 percent. That means 12-17 hours of talk time and 4-6 hours of audio playback. So where can you get a PERI Duo? It's not in stores yet, but you can order the unit in one of three different color styles through links to Indiegogo on the PERI Duo website for $99 - $40 off the expected retail price. You can also follow news about the PERI Duo on Twitter.